8th Annual Memorial Day Weekend 2019 ride at Casper Wilderness Park. You have to book your spot 1 year in advance so TODAY is best! Be sure to book at Star Mesa Equestrian campground. Click here to reserve: http://www.ocparks.com/rnp. We booked our reservations today and reserved space #10. Come out for the entire weekend of amazing horse camping ($20 per night) or just for the day (day camping available for $5) Several ride options will be scheduled throughout the weekend and most rides are approximately 3-4 hours (for more technical trails) whereas some groups gather for shorter rides. Gaited horses welcome to gather as a group. Caspers Park is one of the most beautiful places to ride and the weather in May is typically very cool. Enjoy picturesque views of the valley and meadows. Watch deer graze throughout the large valleys. 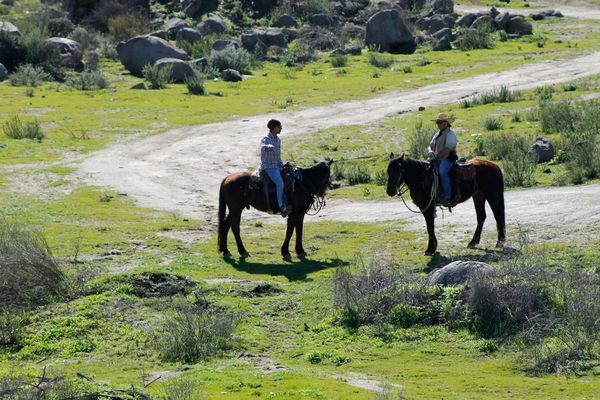 Campers must have a horse to camp at Star Mesa and book early as spaces are limited. Campsites go really quickly. Please book early. You will have 2 months from today to book your spot to ensure you get a space. Book by July 2018 to make sure you get a space.